Do we really have right of celebrating it??? Do we really have the right of celebrating it ?? Rama killed Dasaratha,thus he and his family can only celebrate diwali as he has achieved something great. What have we done to celebrate ?? What have we achieved ?? Do we really have right of celebrating it ?? 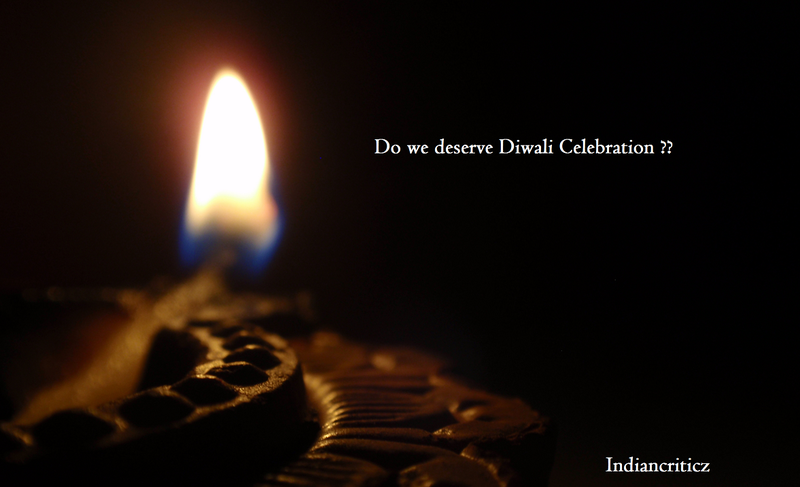 What great good deed you have done the community so that you can celebrate diwali ?? Happy Diwali… But Ram killed Ravan.